Last weekend was my son's 2nd birthday. I have a 2 year old son!!! I'm unbelievably proud to be the mom of such a good and sweet boy. In honor of his birthday, considering his egg allergy, I had to come up with an egg free cake recipe. All of the ones I found on the internet weren't simple enough for me, so I decided to make my own. I have to say I am more than satisfied with my recipe; it's moist, fluffy, and delicious. Why do we even use eggs in almost every baking recipe? I know the white acts as a leavening agent and the yellow helps everything stick together, but I always wondered if we could do without. I figured a bit more baking powder and a bit of fruit puree or yogurt would do the trick (minus the protein and nutrients found in the eggs). The good news... it does! This eggless vanilla cake recipe is super yummy. If you know anyone with an egg allergy, or simply want to make a cake for a baby's first birthday, this recipe is perfect! You can vary the flavor by changing the type of extract you use. 1. Preheat oven at 350F and prepare molds. 2. Cream butter, sugar and yogurt. Add vanilla extract. 3. In separate bowl, mix flour and baking powder. 4. 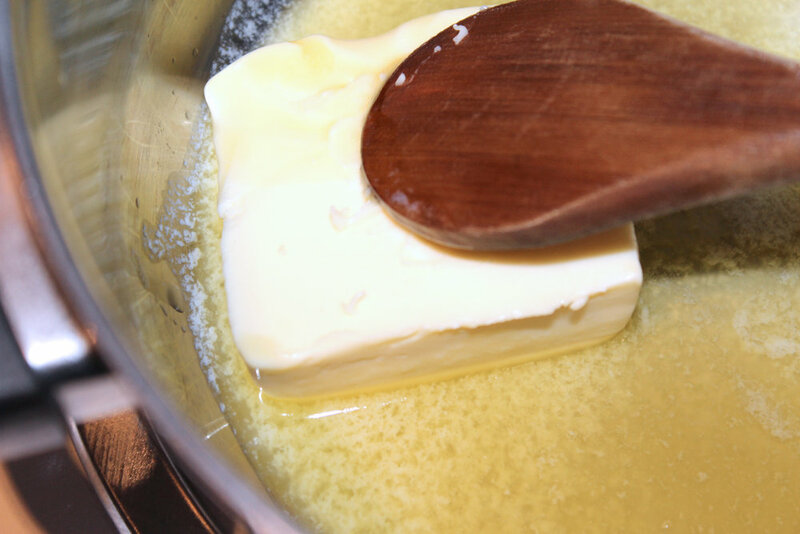 Mix flour mixture and milk alternatively into butter mixture. Do not over mix. 5. Pour into molds (to about 3/4 of the cup) and bake for 30 minutes. Mmmm... mini chocolate cupcakes with cream cheese frosting! I always find cake too dry (or not very chocolatey) sooooooo, after a few attempts, I came up with my own recipe. Here it is, enjoy! Moist Cake: 1/2 cup Flour + 1/2 tsp Baking Powder. 4. Add eggs and sugar to mixture. 5. Add optional ingredients if desired. 6. Bake @ 300F for approx 20 min. Mmmmmmmm, nomnomnomnomnom, sooo yummy... time to decorate! This frosting is absolutely divine. It's not too sweet and very creamy. I love it! 2. Mix all the ingredients together. 3. Decorate your favorite cupcakes (I used a Ziploc bag). FREE styled photography course for bloggers and creatives. Yay! So happy to have you on board! Don't forget to confirm your email and share the course with your friends!